Happy New Year from Exclusive Books! We’ve rung in 2018 on a particularly joyful note by fulfilling the life-long dream of Mrs Carina Greyling of Kempton Park, Johannesburg, who had, according to her four children, listed being “locked inside an Exclusive Books for the night” as her top birthday wish. 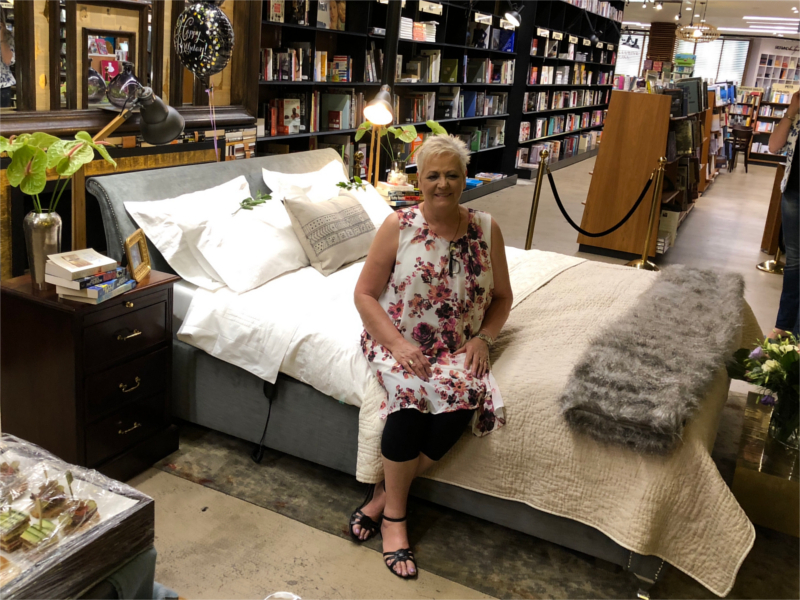 Greying turned 60 on Sunday 7 January and saw her wish granted at our Hyde Park store, where she was surprised with a pop-up bedroom, snacks and drinks, and the freedom to roam the store all night, browsing and reading to her heart’s content. Trisk received the request from Mrs Greyling’s daughter, Leeanne Jonsson, via email in early December 2017. The email asked for the booksellers’ help in “planning an epic birthday surprise”. “Exclusive Books is known for pulling stunts like this on occasion for special customers,” said Trisk. “We’ve assisted with a number of in-store marriage proposals, for instance, and feel that accommodating Mrs Greyling – literally – was very much was in keeping with the overall spirit of our brand”. Her bed and pillows were supplied by Exclusive Books’ fellow Hyde Park tenant, Vencasa, which also included a R2000 voucher toward a sleep consultation and a special Tempur therapeutic pillow. 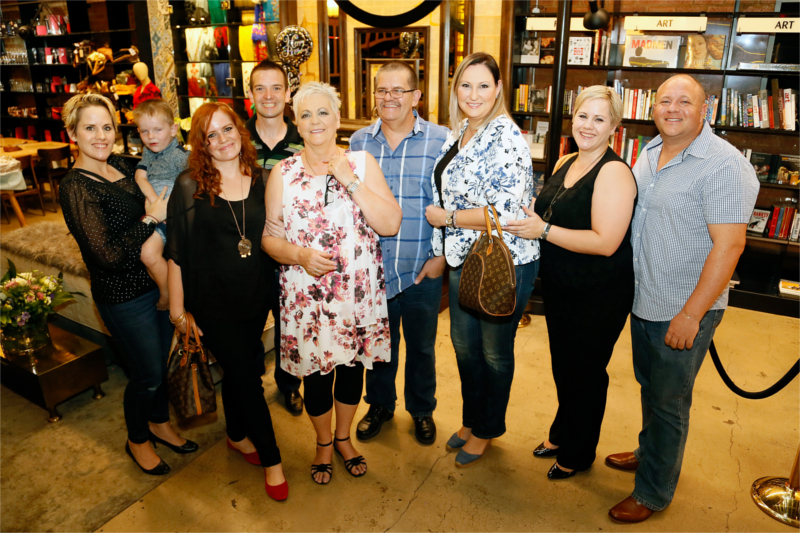 The birthday grandmother also received a R1000 Exclusive Books voucher to spend on her favourite reads. Wow! That is absolutely amazing! As a personal friend to the Greyling family, I was excited that Exclusive Books were able to grant the 60th birthday wish for Carina. Jolly well done Exclusive Books, Mazeltov! PS. Happy birthday Mr Trisk. God bless all involved in honoring the request. What a great idea! EB you may just be inundated with requests if this nature. Leave the bed where it is!